Michael Marsden BA MA FRSA is the Dean of the School of Art and Design at Nottingham Trent University. This role involves the strategic leadership of the School, which has over 30 undergraduate and postgraduate courses across four departments. The School currently has 3,500 undergraduate, post graduate and research students. Michael provides academic leadership in teaching and research and the management of the School’s resources. After graduating with a degree in Industrial Design and a Master’s Degree in Design and Manufacture Michael worked as an industrial design consultant developing a range of industrial and consumer products, notably nuclear decommissioning equipment and computer input devices. In parallel to consultancy Michael developed his academic career, lecturing and leading a range of art and design subjects. 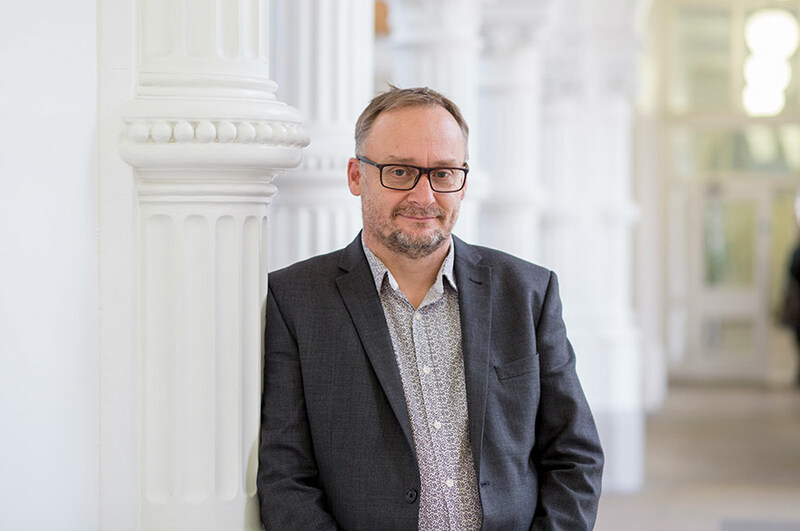 Michael started his academic career initially as a Senior Lecturer and Subject Leader before becoming a Head of Department in 2011. He continued teaching and supervising research students and in 2014 became the Head of School and Deputy Dean. Within these leadership roles Michael led research which combined consultancy, recognising the importance of commercial activities and knowledge transfer in higher education. His practice led to research in the use of space within art and design education, culminating in the creation of new buildings.